You’ve probably noticed most real estate newsletters are boring with too much copy and not enough color and life. Well move over ‘old school’ newsletters and make way for the brand new Jigglar Newsletter template! 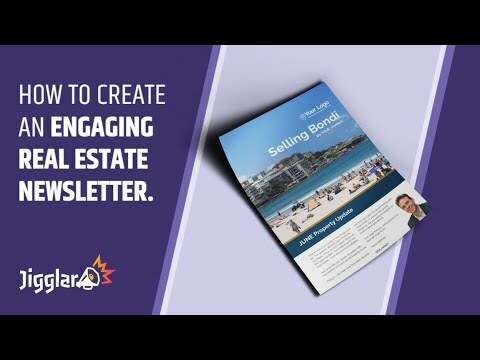 In this video, I’ll take you step-by-step through the process to help you create and download an awesome real estate newsletter that will not only engage, entertain and educate your market but help position you as the trusted real estate authority in your area neighborhood.